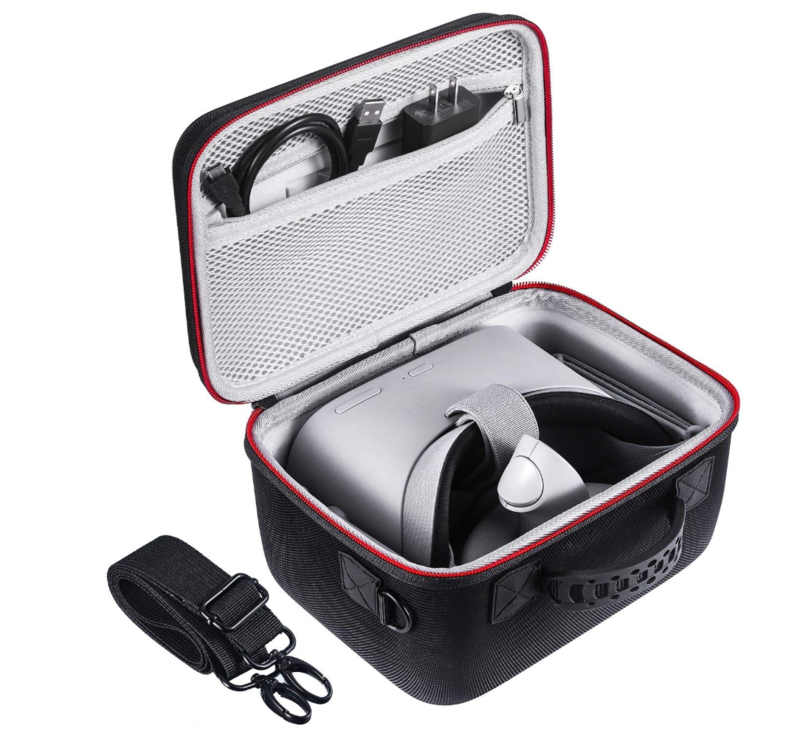 On this article, we are going to go over 5 different cases for keeping your Oculus Go safely when you travel to protect it from the elements and primarily from the damaging sunlight. We will review different cases at different price points, from the most affordable to the most expensive. Different sizes, configurations, and materials. All of these items can be purchased via Amazon.com and prices are shown in US Dollars. If you live overseas, pricing, shipping costs, and taxes can vary. 1. 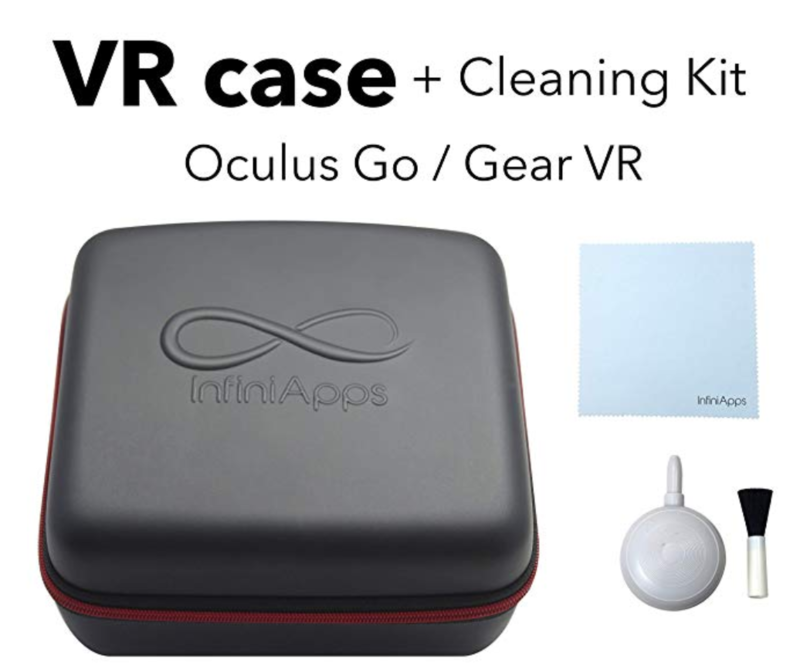 Oculus GO and Samsung Gear VR Life Case Semi-Hard Compact Travel Storage Carrying Case Cover Bag by InfiniApps. Bonus: FREE CLEANING CLOTH & DUSTER. Cons: There are Amazon reviews. 3. 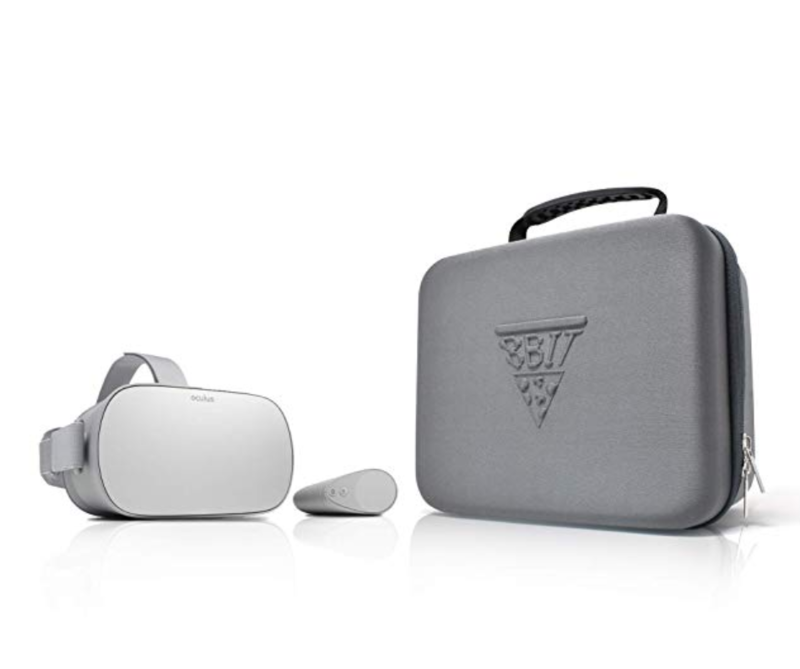 CASEMATIX Virtual Reality Headset Case for Oculus Go VR Headset. 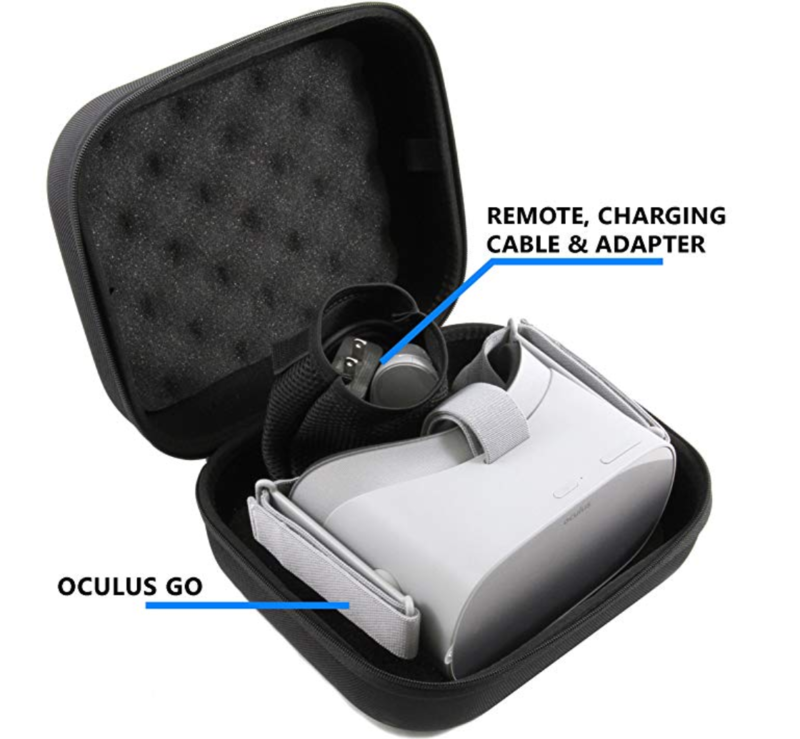 Pros: Includes accessory bag to hold remote controller and charger. Cons: Some people have mentioned it is to tight for the headset. 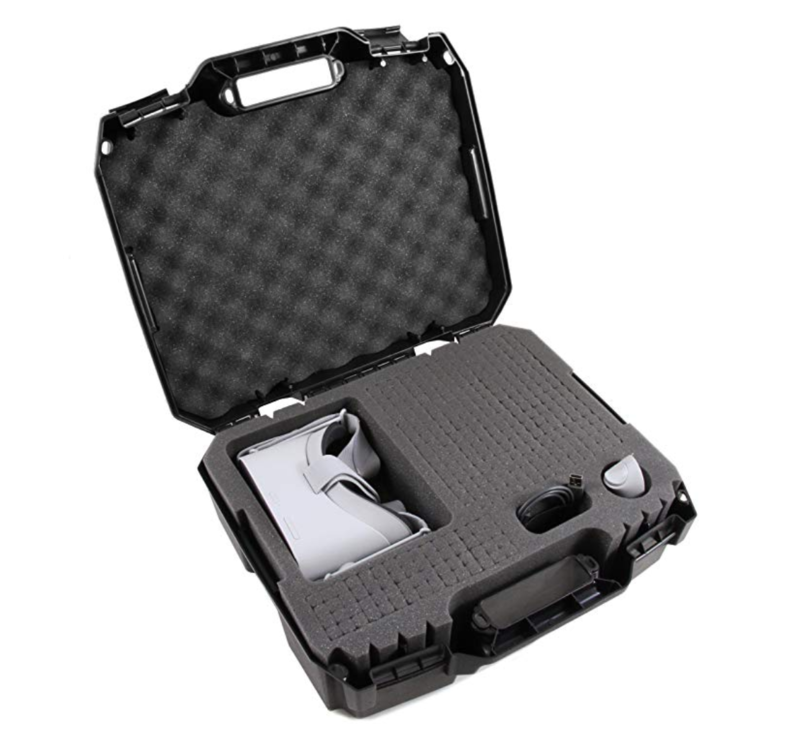 Pros: Includes a shoulder strap, separate compartment for charger and cable. Cons: Separate compartment has no room for the controller. 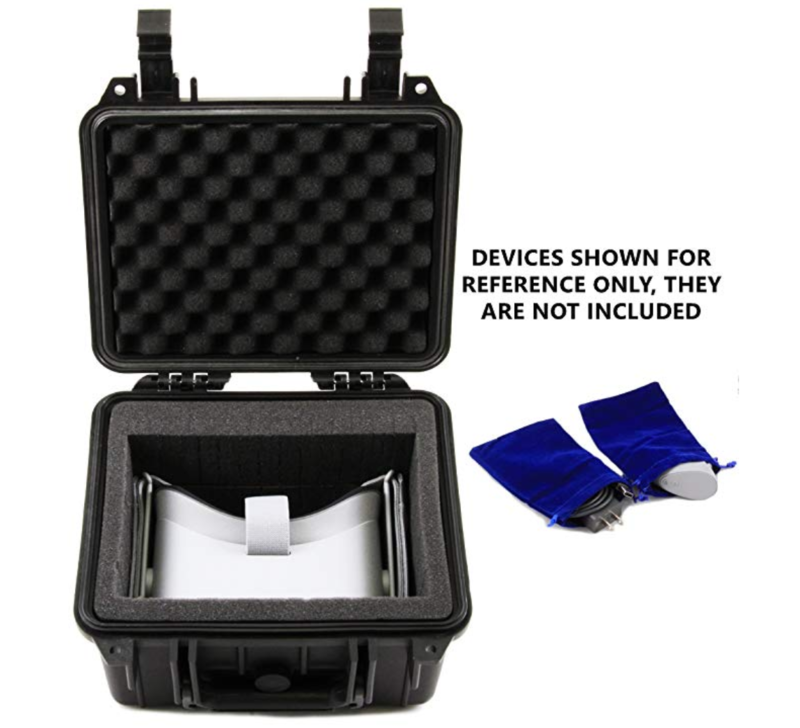 Pros: Waterproof, padlock can be used. Pros: Extra space for headsets and additional customizable space. Cons: Size, it’s significantly bigger than other cases.